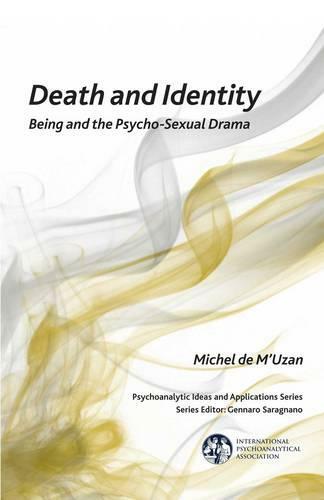 Michel de M'Uzan has derived several innovative notions from his clinical experience that are relevant not only for the psychoanalyst's status of identity, which is sometimes dramatically shaken by his or her patient's unconscious, but also for the artist who is deeply destabilized by his act of creation, as well as for the caring person who lets him/herself be caught in the nets, as it were, of someone who is dying. Such are the extreme examples of the precarious nature of the boundaries of being in which the author discerns, not necessarily a pathological disposition, but rather an opportunity for the mind to construct itself and achieve authenticity. Through this invigorating recognition of the unconscious with the emergence, at the heart of analysis, of 'paradoxical thoughts', the experience of 'blurred frontiers' characteristic of a vacillating sense of identity, the perception of an 'every man's land' in which the analytic treatment unfolds, and the elaboration of an 'original grammar' specific to the formulation of the intervention/interpretation of the analyst during the session.